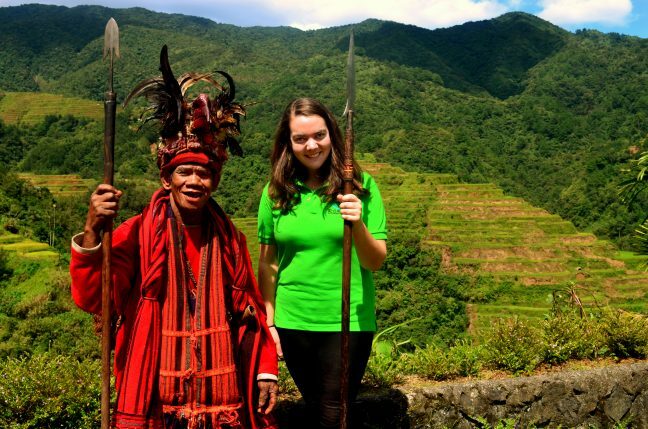 ‘I wouldn’t swap the experience for anything,’ says Rebecca Boardman, who spent ten months in the Philippines with the short-term mission placement programme run by the Anglican mission agency USPG. ‘I lived in a village at one point’ she recalls. ‘I had to hand flush the toilet using bucket of water and showered by tipping buckets of water over myself – so I became very aware of how much water I was using. Also we had to burn our rubbish, so I became aware of how much I was wasting. In a very direct way I was receiving a lesson in what stewardship means. JOURNEY WITH US from USPG on Vimeo.